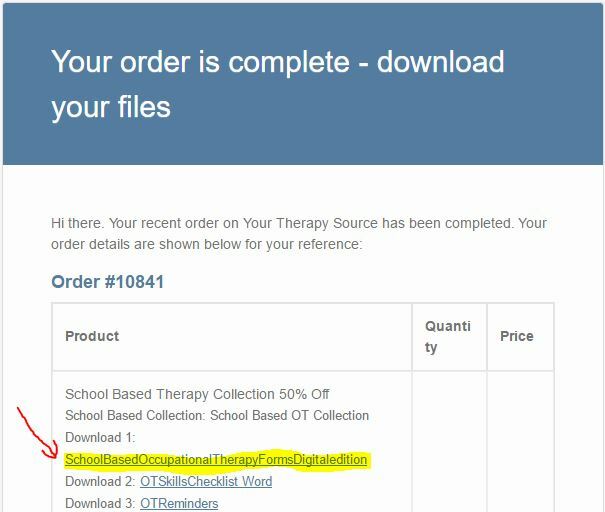 You are here: Home / How Do I Access My Downloads? If you create an account when you checkout, you can access your documents on any computer by simply logging into your account. Once your account is created go to any page at www.YourTherapySource.com and click on MY ACCOUNT in the upper right hand corner. Once you log in with your user name and password, you can view all the files you have purchased. 2. FOLLOWING GUEST CHECKOUT OR ACCOUNT CHECKOUT YOU CAN CLICK ON EACH TITLE TO DOWNLOAD THE DOCUMENTS. 3. YOU CAN ALSO ACCESS YOUR DOCUMENTS VIA EMAIL. 1. Right-click on the unopened ZIP folder. 3. Choose a destination folder to save the unzipped files. If you are downloading the ZIP file on the iPad or iPhone you will need an app to open it such as iZip. When you download the file, click on open in iZip.